A location where there are more shells than sand on the beach. A quiet beach with a natural surrounding with drift wood and beach glass along the shore of Lake Erie. 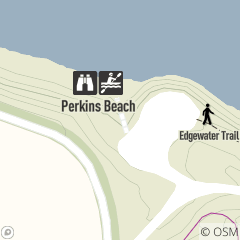 Perkins Beach is located at the bottom of a 60ft bluff just north of Cliff Drive. It is accessible from the stairs off of the circular Perkins parking lot. Swimming is not permitted.